Everything was spectacular . Fully equipped/spacious room/studio private bathroom/toilet with garden view and access to it. perfecttttt location couldn't think of a better area in the middle of everything, super neighborhood very vibrant full of restaurants and pubs and whatever you desire, very safe to walk at night. Easily accessible. Took the train from the airport and just 2 mins away from the apartment. with all the noise outside it's very quite indoors. Very Comfortable bed. Close to monastiraki square 3 mins We walked to all the historical sites barely needed the metro. Everything was within walking distance. Stavros was superrr gentle he let us check out late at 2:00 and keeped our luggage until 7 pm because our flight was late. Highly recommended to stay at would definitely comeback again. 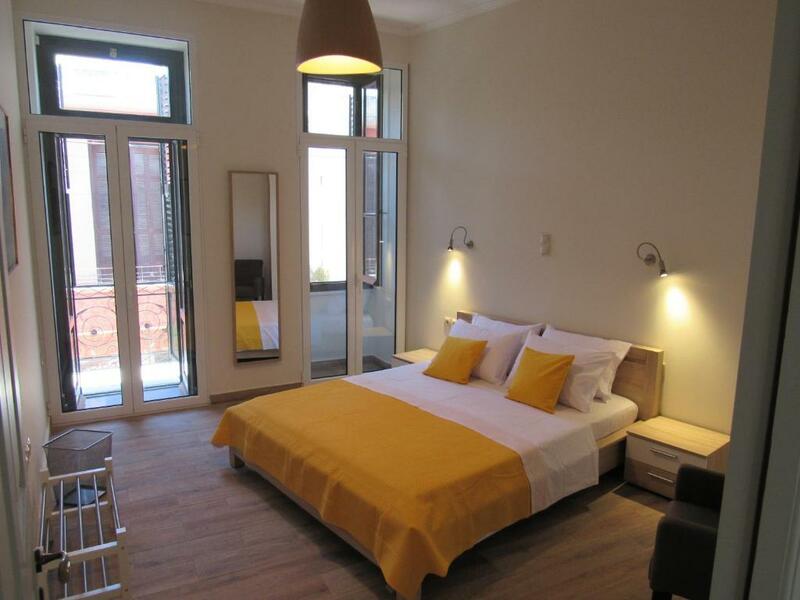 The location is very convenient, not far from the metro station for the lines to the Port (M1) and to the Airport (M3), and on a pedestrian road on the fringe of the city centre busted with restaurants and pubs. 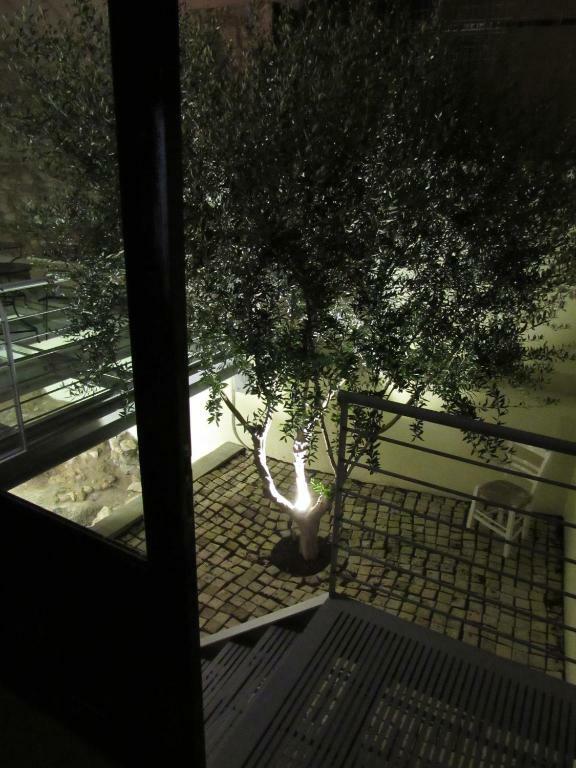 Nevertheless, the room windows open on an internal courtyard and we didn't hear any noise during our sleep. The room we staid was very large and clean. Perfect Location. Everything was at walking distance. The room was comfortable. We had everything we needed. The host was very helpful and friendly. Amazing location - minutes walk to most major historic sites. Elegant, stylish and very well maintained property with a sweetest owner who kindly presented us with a gift of delicious coffee which we loved so much. We stayed at two bedroom suite and found it extremely spacious and comfortable. There are also lots of restaurants and cafes nearby. Terrific value for your money too! location, Stavros Tsiakalos was very welcoming and helpful. Very nice reception by Stavros, who is very friendly. His mother who was helping that day was very nice also. The room was very generous with kitchen and a nice bathroom. The location was excellent for walking around the center of the historical district. There were many places to eat very close by. Very good location in a happening neighborhood with lots of bars. Well designed place and close to all the popular sites. With modern construction and facilities, very nice bathroom and shower, and a very helpful and nice host, who's a minute away if you need him. The location was excellent! Very close to the Acropolis and metro station, wonderful cafes literally at your doorstep. We loved exploring the neighborhood! Stavros was very welcoming, he helped us arrange transport to the airport for our very early flight. He even arrived at 3am to make sure all was well as we checked out. 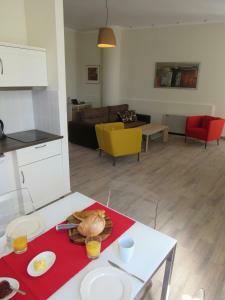 He was so hospitable, the location was excellent and the apartment was stunning! Wonderful. Everything was great. The location is central. The host was great and paid attention to every detail regarding our check-in, luggages, check-out and so on. The apartment is well maintained, clean, and spacious. We were a group of seven and stayed in both the studio and two-bedroom - they were both very spacious, clean, and nicely decorated. 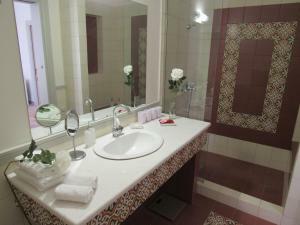 We especially appreciated the large bathrooms. Neighborhood was great - easy walk to the Acropolis and lots of cool things going on. Easy and efficient communication with Stavros. Lock in a great price for Kerameion – rated 9.8 by recent guests! One of our top picks in Athens – and a guest favorite. Housed in a restored neoclassical building in the heart of Psyrri Area, Kerameion has an internal courtyard with a glass floor hosting byzantine findings. 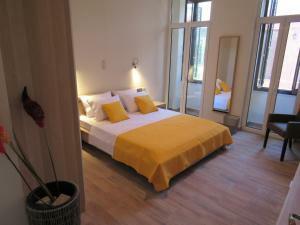 It offers elegantly decorated, self-catering accommodations with free WiFi access. The Acropolis is 0.6 mi away. 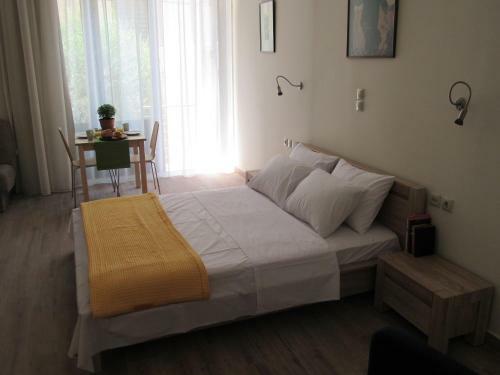 Overlooking the garden or the surrounding area, the spacious units of Kerameion are fitted with modern furnishings, soft colors and high ceilings. Each includes a seating and dining area, and a well-equipped kitchenette with stovetop, fridge and coffee machine. The spacious bathrooms come with ceramic tiles, walk-in shower and free toiletries. A flat-screen TV and air conditioning are available. The bars and restaurants of the lively Psyrri are just steps from Kerameion, while Ermou Shopping Street is only 650 feet away. Eleftherios Venizelos Airport is approximately 22 mi away. 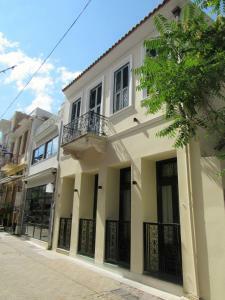 뀐 Located in the real heart of Athens, this property has an excellent location score of 9.9! When would you like to stay at Kerameion? Named after the pottery workshop that quite likely operated in this location since before the classical era, with its neoclassical façade and the preserved byzantine finds in the yard, the hotel Kerameion brings together the city’s history in one space. The 19th century building, the façade of which still provides the hotel with its beautiful front, had to be torn down due to irreparable damage sustained during the quake in 1999. Only the façade could be saved. Clearing the rubble of the old basement unearthed, among other finds, parts of the ancient aqueduct, and pottery that the archaeologists, in a first estimate, dated as early as 600-800 BC. Though perhaps the most interesting discovery were the slabs of unused clay, which suggest this to have been the location of an ancient pottery workshop. 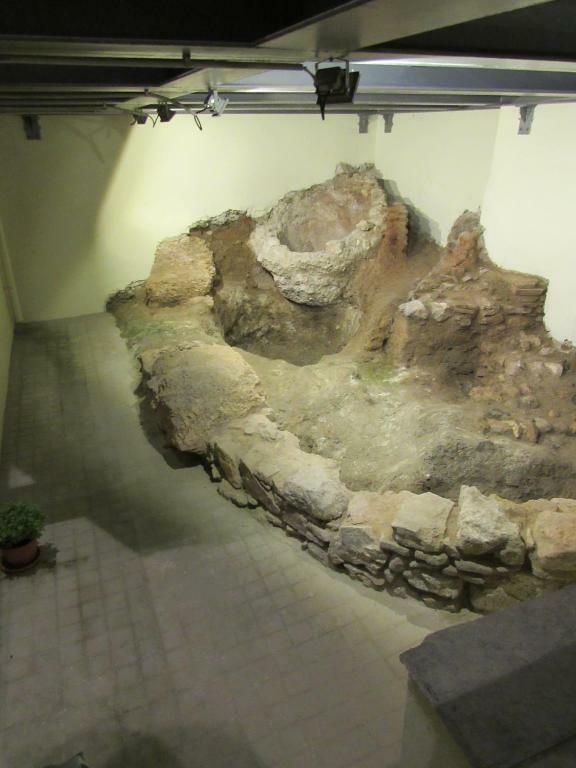 Alongside the byzantine storage space preserved underneath glass in the back yard, the finds showcase the near continuous craftsmen’s presence in the neighbourhood. 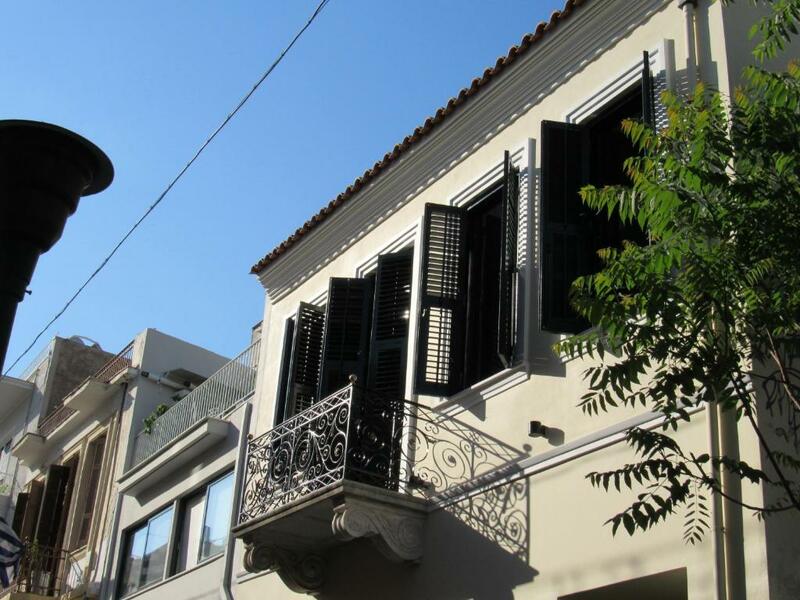 Psirri has become an insider destination for visitors to Athens. A neighbourhood in transition, here the traditional craftsmen’s workshops have been joined by fashion designers, art galleries and theatres, resulting in a vivid mix of people and creativity. House Rules Kerameion takes special requests – add in the next step! Kerameion accepts these cards and reserves the right to temporarily hold an amount prior to arrival. Please inform Kerameion of your expected arrival time in advance. You can use the Special Requests box when booking, or contact the property directly using the contact details in your confirmation. The beds were a bit too low and too soft for my taste.Still OK.
Cafes only a short walk away. The location was perfect and safe. Great little studio in Athens. The neighbourhood is great, metro is extremely close and the acropolis is just 15 minutes away on foot. Cannot really think about anything negative! The location of the property is amazing. It is next to all the cafes, bars and market. 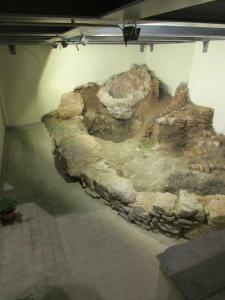 The owner of the property put an extra effort to preserve the ancient ruins which is commendable. Rooms are really huge with all the facilities. Highly recommended. 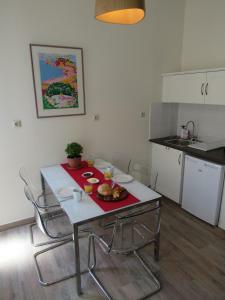 Central location two minutes walk from monastiraki, and the actual apartment was spacious and comfortable. Just a heads-up that there is no microwave. We often brought food home from meals and could warm it on the stove. Also, the 2-bedroom is on the second floor and there is no elevator. It was fine for us, but others should be aware. Stavros was kind, very helpful and care for anything we needed. The apartment is great. Best location, well equipped and very clean. Warmly recommended! The mattress was a bit crushed. Perfect location very close to one of the main metro station and all the great cocktail bars in downtown athens! 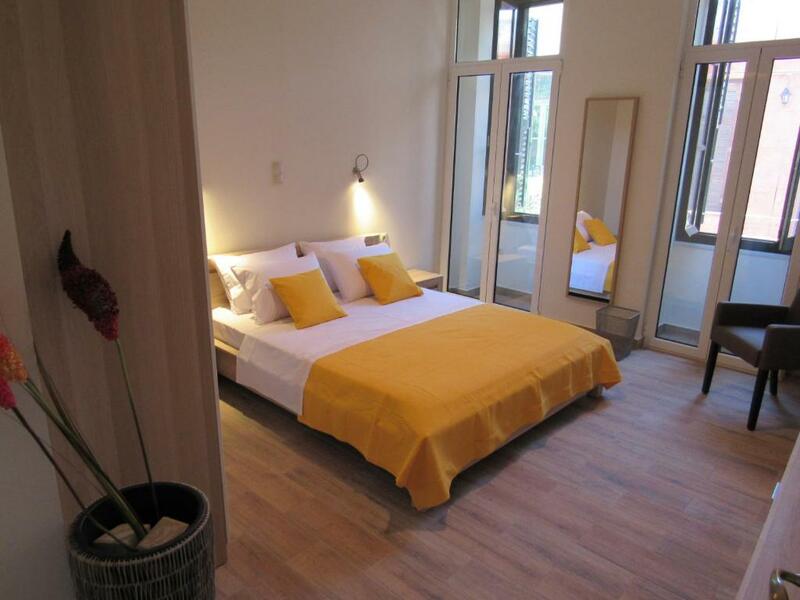 Spacious room with high ceiling, a book case and coffee machine, clean and with a super polite host. We over slept and ended up checking out more than an hour later without any problems. Will definitely stay there again!